1. Medical image segmentation. On example of virtual endoscopy, HSV, CT, MRI segmentation. Medical Image Segmentation is the process of automatic or semi-automatic boundary detection within a 2D or 3D image. Its major difficulty is a high variability of anatomical/pathological structures in medical images. There are many different modalities (X-ray, CT, MRI, microscopy, PET, SPECT, Endoscopy, OCT, and many more) of medical images. During the lecture we will show the usefulness of providing a'priori knowledge and customizing algorithm design for the purpose of specific anatomical structures segmentation. The presented content will be illustrated with examples of the prostate and kidney segmentation from the CT data and virtual endoscopy. 2. Medical image registration. On example of breast cancer bed localization, CT-MRI image registration. In the current clinical conditions, medical imaging is an important component of a large number of applications. Such applications are used throughout clinical procedures, not only within clinical diagnostics settings, but also in planning and evaluation of surgery and radiotherapy. The information from two or more images obtained on the clinical track contain various information, among others, details of anatomy, disease or treatment progression. A first step in this integration process is to bring the modalities involved into spatial alignment. This procedure is called image registration. During the lecture, general image registration issues will be presented. Additionally, the missing data problem on the example of oncoplastic breast tumor bed localization for radiotherapy planning will be shown. 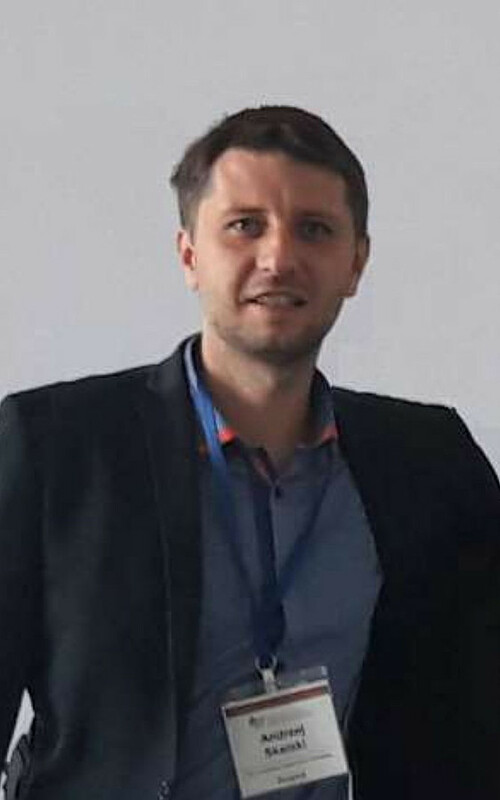 Andrzej Skalski is assistant professor at AGH University of Science and Technology in Krakow, Faculty of Electrical Engineering, Automatics, Computer Science and Biomedical Engineering.His principal research interests lie in the field of image processing and analysis in particular segmentation and image registration algorithms. The second area is machine learning and computer vision especially classification, recognition and feature extraction.He has been involved in more than 10 domestic and international projects (e.g. EU 6 framework, EPSRC, UK) and has published more than 80 papers in related areas of image/signal processing. Οι διαλέξεις οργανώνονται στο πλαίσιο Erasmus+ Staff Mobility for Teaching, προσφέρονται δε στην αγγλική γλώσσα.